Meet Kori. 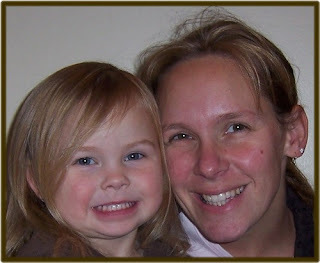 Kori lives in the western suburbs of the Twin Cities with her husband & three children. She keeps busy as a stay at home mom and with sewing her own clothing line, Cutiepies Couture. 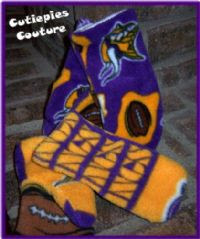 You can find Kori on her website, Cutiepies Couture and her Etsy store, also Cutiepies Couture. Infant and childrens clothing along with baby gear. Also some fun things for adults too. Yes, I have one room that is mainly for business although I am often found cutting and crafting by the kids in other rooms too. I think I have always been crafty My mom raised me being crafty growing up. I do things for gifts and I have lots of projects for my house. I order online a lot wholesale but I love Joanns because I almost always have a coupon. I have been featured on blogs and that always helps promote business. There are so many I love ones that use recycled items. When making note cards, a touch that will add a professional look to the final card is a process called “scoring”. Professional card suppliers in the industry actually have a machine that does this. So, how does the small business person or hobbyist add this look of professionalism, especially when using a heavy card stock? It is important to know the grain of the paper or card stock. The grain is the main direction that the fibers run on the sheet. This has to do with how the paper was manufactured. Typically, it is made into a long roll and the grain direction would run parallel with the roll. It is fairly easy to determine. 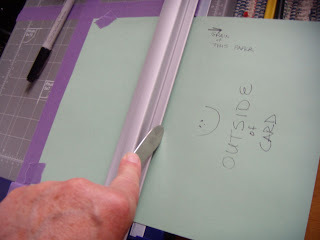 Take a sheet of card stock and tear it in two directions perpendicular to one another. One way should tear more easily than the other and the edges should be smooth. This would be the grain direction. The other way should be harder tear and the edges much rougher. This would be the non-grain direction. Paper is easier to score in the grain direction and this has to do with how the paper fibers are laying. However, either direction will work, but it is helpful to know what the fibers are doing when being creased. The purpose of scoring is to release tension in the grain fibers so that the card can be folded easily. How is this done? There are craft tools out on the market that have been made just for this process. (e.g. Scor-It and/or Scor-Pal). However, I have found that my paper cutter or mat cutter can be improvised to work just as well. The most important thing is to insure that the score line is in the right place – so measure carefully and practice on something other than a printed card. 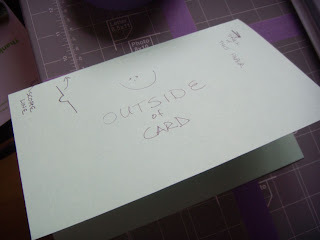 It is best to have a hard edge to place the card stock against prior to scoring so that the card will not move or shift. I have laid tape out on my cutting board to place the card and then I can use the actual holder for the cutting mechanism to hold the card (of course not using the cutter) and some painter’s tape to tack the card in place. 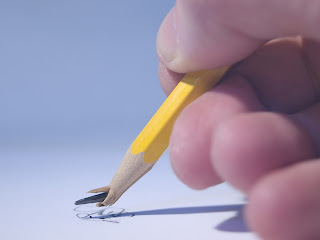 Some instruments that make great scoring tools are: a butter knife, the point of golf tee, or an empty ball point pen. 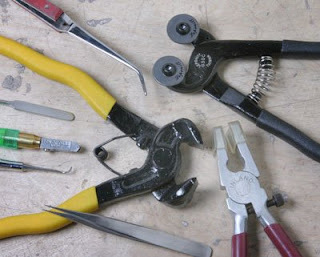 Or, of course, you can go purchase the actual tool for around $5. A ruler or other straight edge is placed where the score line will occur on the card stock. 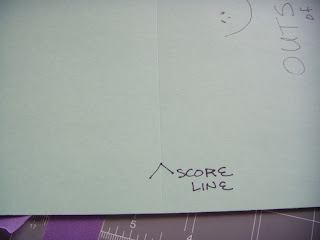 Using the score tool and pressure, make a score along the line where the card fold line will be. IMPORTANT: Make sure that the score line is on the correct side. When a score is made there should be a valley in the paper. 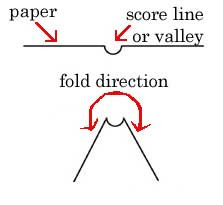 The paper is folded opposite of the valley. The score line is made on the inside of the card. Once the score line has been made, it is a simple process of folding the card in the proper direction and using the back of your fingernail or a card boning tool to finalize the crease. Many of us who have our own small business are challenged when it comes to stress management. The phone is ringing, the e-mails are streaming in and the orders are flying out the door. All of these daily tasks can be overwhelming at times. Each small business owner needs to effectively learn how to manage stress so that we can focus on effectively managing our business. There are as many ways to manage stress as there are to manage our business. Here are just a couple ideas to creatively manage stress. One idea is to exercise. That may be as easy as stepping away from the desk and going for a quick walk. For some just getting a moment or two of fresh air is enough to clear our heads. Or it may be training for a marathon. A goal that is not business related, but something for our own personal health. A second idea is to meditate. Mediation can be done anywhere at anytime. Taking a moment or an hour to quiet the mind will greatly reduce the stress of the day. A third idea is to organize. Sometimes it is a good idea to be structured. Keeping on task can be challenging with interruptions that happen throughout the course of the day. The more structured and organized tasks are the easier it is to get back on track when the interruptions have been taken care of. The most important part of stress management is finding what works for you so that you can effectively make the most of your day. Sound business decisions happen when we are able to manage our stress and focus on our business. Making time and taking action are the keys to managing a successful business! Every day when we begin to work it is time to evaluate what we would like to achieve. There are always going to be projects for the day, the month, the year. The only way these projects are going to be completed is through making time and taking action. Sometimes taking action is easy. There are certain projects that we enjoy doing. The ones that we do right away because we really enjoy the process. Sometimes taking action is challenging. There are certain projects that we don't enjoy doing. The ones that we put off because we really don't enjoy the process. Decide what you want to accomplish and then begin! Go for it! Try a different course in your day. Do the project that you have been putting off right away in the morning before you do anything else. Don't get sidetracked by the projects that you would rather be working on. Focus, be diligent, and complete the project you don't enjoy doing. Get rid of the interruptions and persevere. Then the rest of the day will be open to work on the projects that are more enjoyable! In business making the time and taking action on the small projects will make you successful in making the time and taking action on the large projects! When I was very small, I had a plastic glow-in-the-dark rosary. I would keep it next to the window, and every now and then I would take the rosary into a closet, shut the door, and recite the prayers as the beads glowed in my hands. As religious milestones came along in my life such as First Communion and Confirmation I might receive a "real" rosary. I've always been fascinated by the heaviness of them, compared to that little plastic glow-in-the-dark one I played and prayed with in the closet. Christine Stanton, owner of Prayer Bedes, could impress the daylights out of a young person in love with rosaries. And for adults who realize the power of prayer she creates beautiful works of art to facilitate the meditation of repetitive prayer. 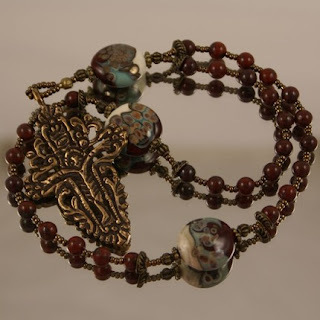 Prayer Bedes offers a variety of rosaries representing different faiths and rituals. 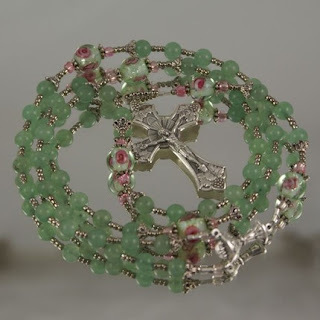 Christine uses beautiful lampwork and accent beads to make her rosaries not only useful, but works of art. With a purchase of a rosary comes a booklet with information and suggested prayers and a velour pouch to keep the rosary safe. 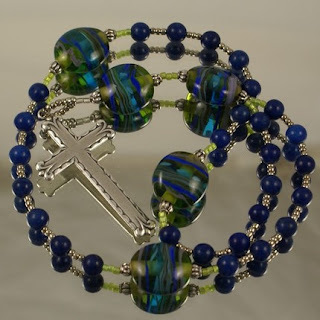 Visit Prayer Bedes and see how beautiful and inspiring a rosary can be. For most of us Minnesotans, SPRING is just not getting here fast enough. Yes, it has been a long winter. Heather Palmer creates these delicate nests out of kiln-formed glass in her San Francisco studio. 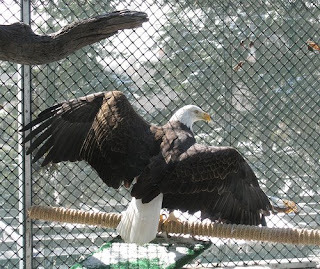 She describes her nest pieces as delicate yet quite strong, like an actual nest. This particular one in green is "vibrant and full of life." I would have to agree with her that it is a "happy color!" The craft of Felting....Not just for Nomads and Needles! Felting you say, what is felting, especially needle felting? Felt is a non-woven cloth that is produced by matting, condensing and pressing fibers. It is the oldest form of fabric known to man! Some items we use on a daily basis come from felt- rugs, tents or clothing. Needle felting is felting without water. A special, barbed felting needle (the same used in industry today) is used to push the top layer of wool into other layers or deeper layers. The unique property of wool fiber that allows it to "stick" to itself, causes the wool to "felt", without the need for soap and water. Here's the story of Felting, with a brief history, construction, uses and some tips/techniques from some Minnesotan's that have FUN creating with the craft. Wool felt is the earliest known form of textile fabric and played an important part in the life of early man. Throughout central Asia, where some of the oldest felts have been found, Turkman nomads made their tents, clothes and floor coverings from the material and it consequently became a significant part of many religious rituals. Can you believe it, felting was also believed to have magical properties - Mongolian horsemen would hang felt figures inside their tents to bring good luck and to ward off evil spirits and a felt mattress would protect the sleeper from dangerous snakes and scorpions. From the mid-17th to the mid-20th centuries, a process called "carroting" was used in the manufacture of good quality felt for making men's hats. Through a lengthy drying, stretching, slicing, hot water, and rolling treatment; beaver, rabbit or hare skins were treated in a mercury solution to make hats. This toxic solution and the vapors it produced resulted in widespread cases of mercury poisoning among hatters. The United States Public Health Service banned the use of mercury in the felt industry in December 1941. The fun and "clean" way of wet felting. The construction process can be done right in your home (also done by a chemical process in industry). At home, felt is made by a process, where the natural wool fiber is stimulated by friction and lubricated by moisture (usually soapy water). By layering your wool, fleece or whatever material you choose to use, on top of each other at 90 degree angles, you use water, dishsoap, a screen (to hold it in place), a towel and nature's air conditioning to craft the felting process. Felting wool happens fairly quickly! It can also be done with special 'barbed' felting needles, which grab individual fibers and drag them against their neighbors, thereby binding them. Somewhat the same as 'wet' felting, you layer the wool or fleece in layers and use the special felting needle with a up/down motion to meld the fibers together. You can check your work by looking at the reverse side to ensure the process is showing through. You know you are finished when the look and feel is to your desire. Wow, there are so many ways to use felt, one of them being needle felting to DIY crafts n' things. Just look at all the ideas you can create or craft: Hats, capes, a dress, bags, slippers, beads, jewelry, rugs, pillows, a curtain, an ottoman, hanging art work, post cards, felted chess set, and more! It's so easy, even children can do the simplest needle felting (with adult supervision of course). Just a few tips and techniques from crafters that have created wears with the needle felting process. *Before you finish your project, pull (gently) on both sides to see how thoroughly the wool is felted. If it starts to "give," you will probably need to needle-felt more roving onto the project. *Since the needles are VERY sharp, make sure you keep your eyes on your project so you don't poke your fingers! *The needles are very breakable as well, be sure to use a straight up and down motion with the needle. If you happen to use a slightly slanted up/down motion, the end of the needle (with the barbs) can/most likely break off. *Did you know? : the higher the needle number, the finer the needle, which leaves a smaller hole in the design. *A faster way to needle felt is to use a special sewing machine with 7 barbed felting needles, your projects will happen much quicker. *You can even needle felt on Styrofoam! When the needle is pushed into styrofoam, the barbs pull the wool roving locking them together in place. As a result, no glue is needed. Voila! Meet Sarah Stone. Sarah lives in the south suburbs of Minneapolis with her soon-to-be 4-year old daughter, Fifi, who has an insatiable thirst for art, music & robots, and their household feline shaman, Parrish. When Sarah found herself unemployed for several months after working as an art gallery Director & Event Coordinator she was inspired to give Etsy a try. She told her family if she had three sales in the first two months she'd keep at it but, if not, she'd continue her lack-luster job search. Well, she made seven sales in the first week, so at the moment, other than active parent duty, she's doing Etsy morning, noon and night. 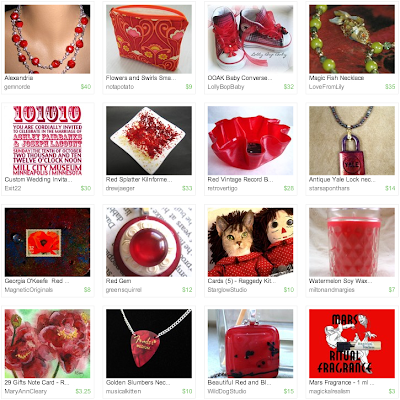 You can find Sarah on her blog, Retro Vertigo, and on her Etsy store, also called Retro Vertigo. "Pretension-free vintage goods and inspired handcrafts." Right now I'm really digging antique buttons. It's an fascinating art-form that I never knew existed until recently. Unfiltered wit, oddity, noise, silence, subtlety, asymmetry, balance, intuition, grace, beauty, whimsy, shamelessness, nature, language, art, culture, alchemy, candor, food, history, color, pattern, variety, communication, rhythm, shape, curiosity... Really, I can be inspired by nearly anything -- often when least expected or obvious. I'm commonly near a large window in my house, but when weather permits, I prefer working outside on my gigantic porch. I believe I began creating when I was old enough to hold a crayon -- I'm guessing that'd been around 2 years old I imagine. When I was 5, my parents entered one of my pieces into a juried art show and I won 1st place. After that there was no question in my mind (or my parents') that I was destined (or at least determined) to make art for the rest of my life. Absolutely, I'm what I like refer to as an "Executive Dabbler". No art-form is safe by me -- I must try them all at least once! However my all-time favorite is sketching from life. Straight-forward, uncomplicated and pure Zen when I make time for it. Part of the fun of selling your crafts online is being able to send your projects to all corners of the world! Here are some helpful tools available online that are useful when selling your work to an international audience. XE.com is the "World's Favorite Currency Site." Its universal currency converter allows you to enter an amount in one currency, for example, the American dollar, and convert it to another currency, for example, the Euro. Why might you want to know how to convert currency? A potential customer might want to know your prices in their country's currency. You can do the calculations yourself, or refer them to xe.com. 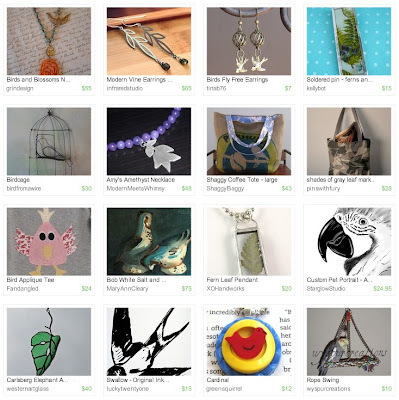 Some online craft venues use the Euro instead of the American dollar. You might also want to list your items in different currencies on your own site. Be sure to check often as currency values change frequently. Another important element in international selling is measurement conversion. If you provide product measurements in both U.S. and metric measurements, everyone will be able to understand the size of your items! 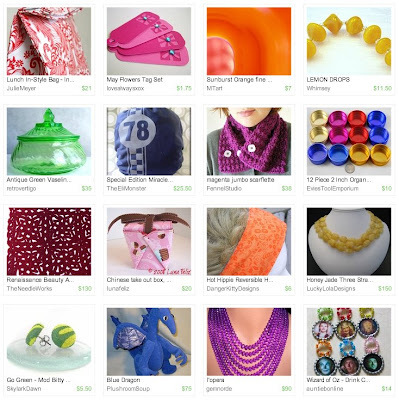 Stay tuned to the HandmadeMN blog for more ideas, tips, and suggestions on crafting and selling internationally! Welcome to Minneapolis, home of Kathy Lewinski and her store, The Snuggery where you will find handmade throw pillows, wall hangings, and other houseware decorations. In a little space, staying organized is hard. Baskets filled with color-sorted yarn and IKEA storage solutions keep the creativity flowing in Kathy’s space. “Other than that I'm a big fan of plastic containers. I use large bins to hold fabrics.” With one table with a window view and closet for storage, Kathy keeps everything she needs, including her computer, sewing machine, spare fabric, and threads neatly stashed in her room. You can keep up with Kathy on her blog at http://kat-knits.blogspot.com & find her food blog at http://agoodappetite.blogspot.com. The history of mosaic goes back 4000 years or more and is still popular today! -Opus signinum: In this technique developed by the Greeks the mosaic was constituted of "ciottoli", or pebbles, that were randomly placed, with rudimental designs, and cemented into place with clay or plaster. 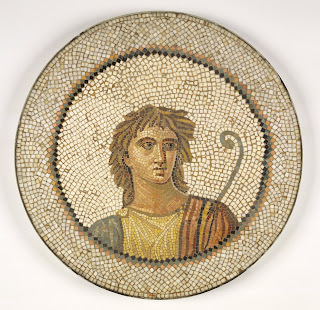 -Opus tesselatum: In this technique, the mosaic is constituted of small pieces, mostly squares of about 1 centimeter, made of stone, enamel, and glass paste, also colored. The pieces were placed one next to the other with very little space between so as not to show the underlying base. -Opus vermiculatum: This technique was very similar to the Opus tesselatum, differing mostly in the way in which the pieces were cut to shape and size best suited for the design that was being created. The outlines of figures were more accurately depicted. -Opus sectile: In this type of mosaic, designs were not depicted with pieces of stone etc but instead with pieces of marble or hard stones, cut in such a manner to create uniform colors and patterns. Materials of various origins are found in mosaics. The most common are marble, glass paste, terracotta, mother of pearl, shells, enamels, gold and silver, and even china. 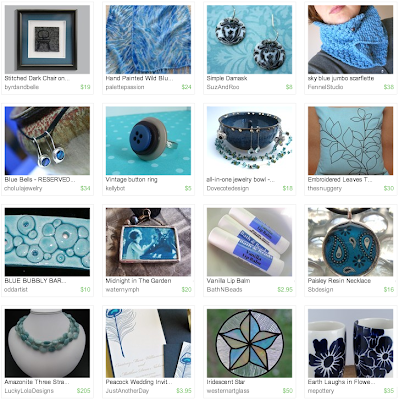 A handmadeMN team member named Michelle is the visionary mosaic artist behind the etsy shop Rhinestone Bits who uses stained glass gems, pearls and vintage china in her mosaic designs! 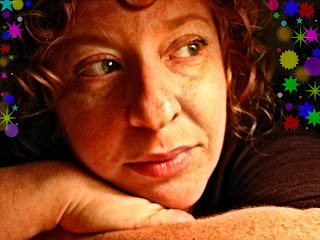 Michelle's work is also featured on her website. When asked what inspired her to learn mosaic she said, “Several years ago I happened to go to a very nice boutique, and saw a vintage dresser covered in china. I was mesmerized- and kept running my hands over it. 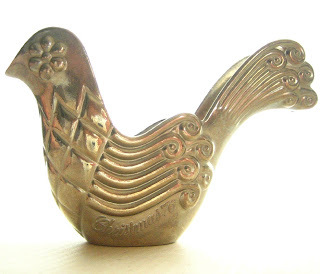 I went back to the shop several more times, just to admire the piece." Her choice of materials tend to be more on the expensive and time consuming side she is unable to buy “china” at her local art store. She must hunt down just the right pieces for her vision. Michelle led on to say, "I prefer china from the early 1900's through the 1940's as it tends to have the color and patina I prefer, and be thinner. It seems to take me quite awhile to collect enough china for the larger pieces, so it can take several weeks to months as a piece sits in various stages of progress. I also tend to sit and stare at a piece of furniture for a long time before a design comes to mind. I go through a lot of coffee that way.” Coffee is a main ingredient in many artist completions, I won’t disagree there! Unfortunately, coffee alone will not teach the skills needed to start creating mosaic art. 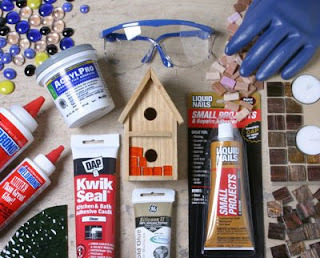 Michelle suggests looking at your local community college or recreation centers for a one day seminar on mosaics as well as www.mosaiconastick.com. 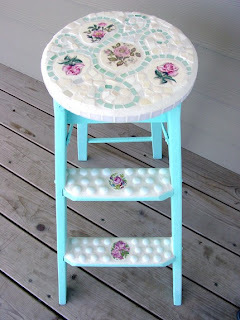 There are various tools, materials and tutorials out there for this craft. Click the link below to view a youtube tutorial I thought to be inspiring, simple and fun to try! 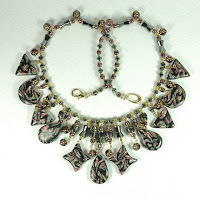 Today's HandmadeMN Featured Shop spotlights the jewelry of Jan Geisen found at jangeisen.etsy.com. Jan is one of the many talented artists belonging to HandmadeMN and I'm proud to give you a glimpse of the beautiful work she has created. 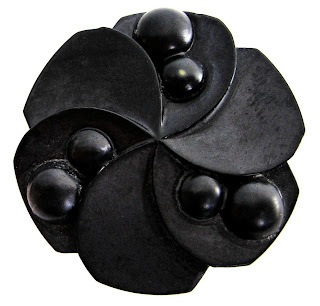 Wonderful abstract designs are created by manipulating and baking small pieces of polymer clay. 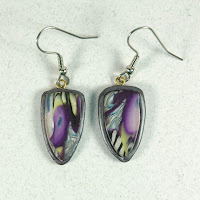 I just love the earrings shown below and have the perfect outfit for them. 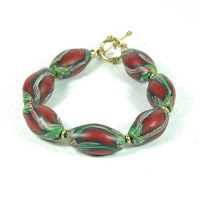 Jan has jewelry of all different shapes and colors to go with anything in your wardrobe. In addition to her online jewelry shop Jan's work can be found at Notorius Nellie's in Stillwater, MN and at ArtiCulture in Minneapolis, MN, as well as here. All photos in this post are the property of Jan Geisen. Welcome to the first edition of “Local Scene”, where we will explore some cool things about Minnesota. We have been teased with Spring-like weather off and on for the last few weeks and I for one am ready for it to arrive! But first, while it’s still chilly and a bit snowy here, I thought I’d use this first post to salute the end of winter. At least I hope it’s the end! 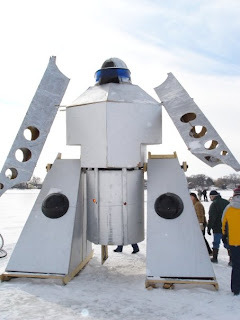 The Robot Shanty. You can climb up through the bottom and make his body swing back and forth! 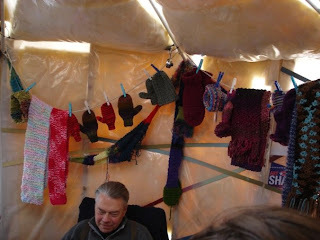 The Knitting Shanty. Anyone can come in and knit for awhile. 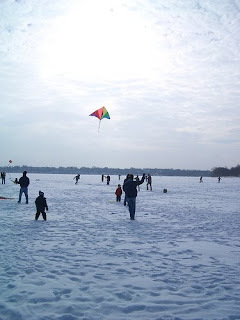 A kite flying festival on Lake Harriet. 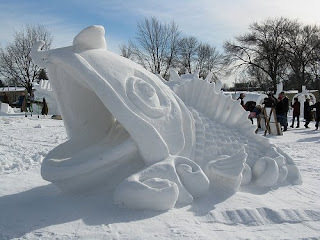 Hmmm, we do make the most of our 10,000 frozen lakes don’t we? Suz is lucky enough to own a year round cabin up North. 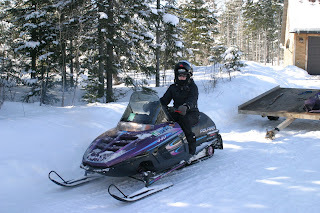 Here’s a shot of her ready to head out on the trails in Isabella, MN. She looks ready for some adventure! 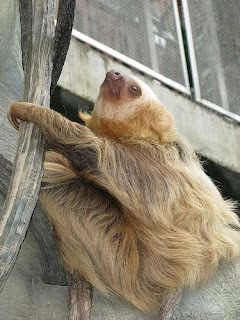 Lori Lee recently visited the Como Zoo Conservatory for her birthday. Lori Lee recommends using the 'library museum pass' program, which allows anyone to check out a free pass for various museums and other attractions. Although these two places are free anyway (they do ask for donations), they did receive discounts in the gift shops, and coupons for various things like free coffee at the conservatory. 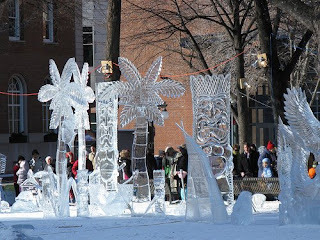 I hope these ideas have inspired you to get out and enjoy next years winter months! A business plan is critical to the success of your business. Every business is at a different stage and there is no time like the present to take a good hard look at your business and make some decisions regarding the future! There are many books to refer to and the Internet is a wealth of knowledge when it comes to writing a business plan. When writing a business plan it is important to take into consideration where you are at and where you want to go. Sometimes just starting is the most difficult task of all. One of the best resources of all is The Small Business Administration website. Here you will find a comprehensive overview of the steps to take when writing a strong business plan. With the SBA you will truly find all the information you need to know from beginning your business to exiting your business. The business plan section is very strong. It will give you questions to ponder before you begin your business plan and then help you formulate the words to express your intentions. Take a few minutes today to put your business plan into action!